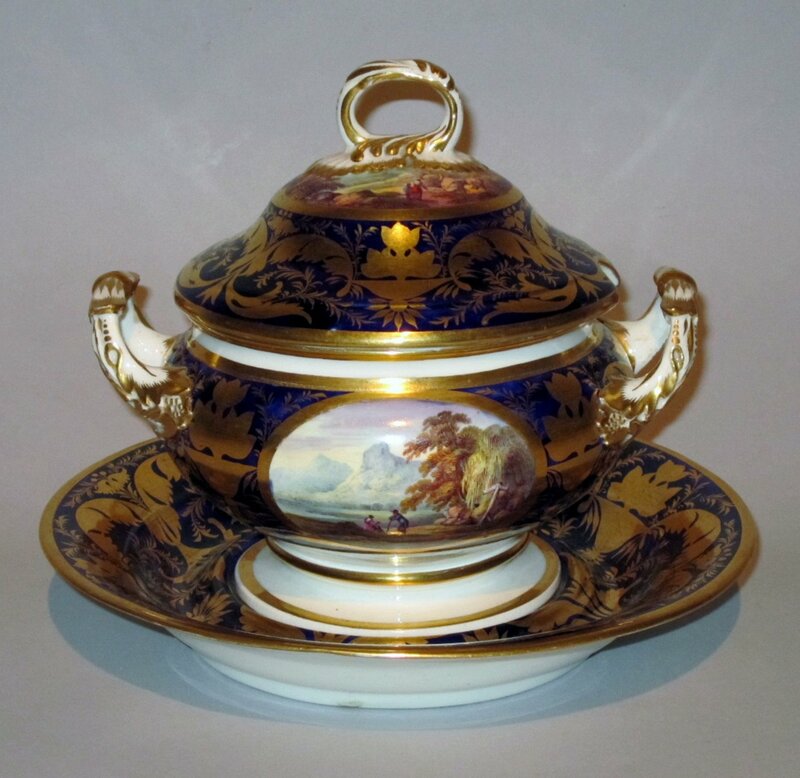 A FINE DERBY PORCELAIN DESSERT TUREEN COVER & STAND. CIRCA 1815. With finely painted scenes within a rich blue & gilt ground. Full red script marks on reverse. Makers mark of crown, crossed batons and dots in red. Provenance: Formerly in the collection of the Metropolitan Museum of Art, New York. Part of a service from the bequest of Mrs. Maria P. James, 1911.